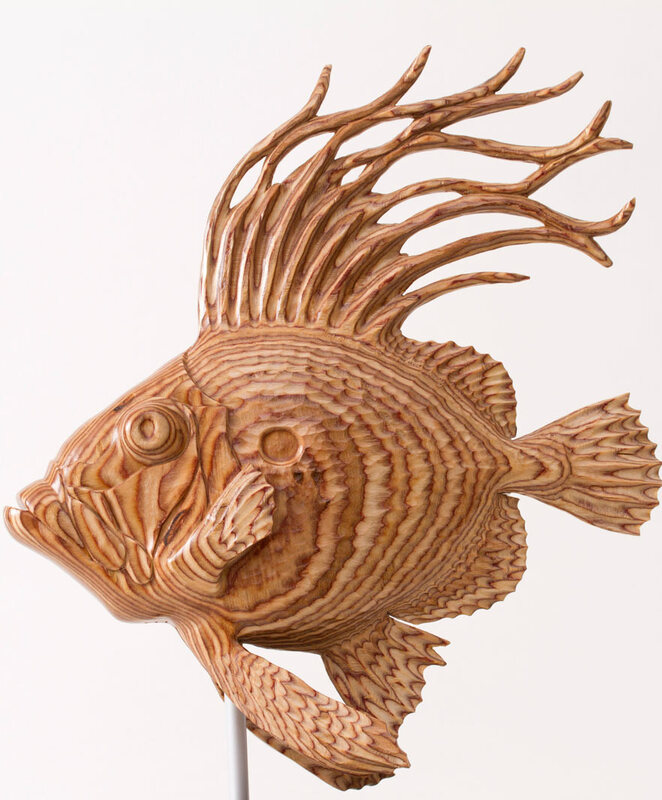 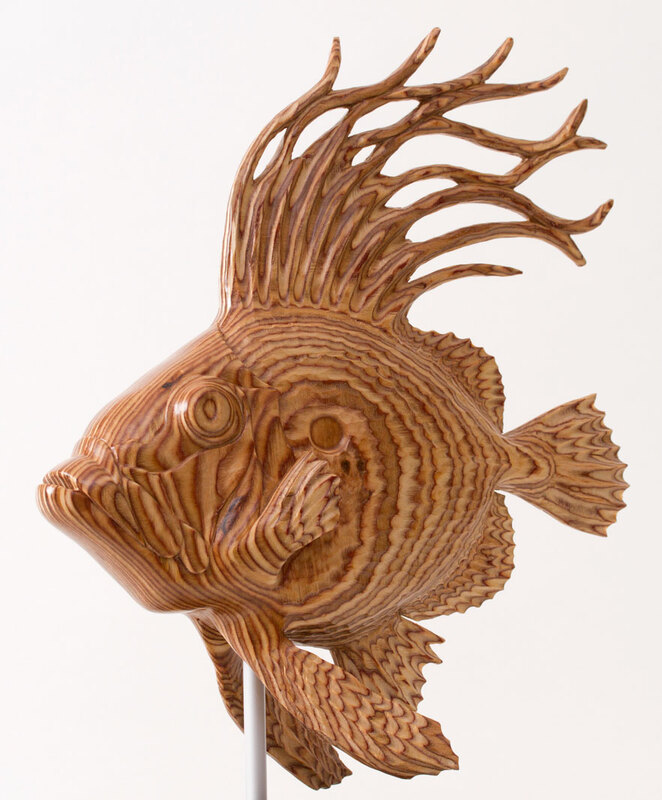 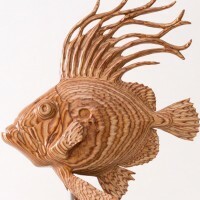 John Dory Sculpture by wildlife artist, Bill Prickett. 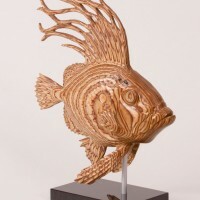 Currently available.Please contact for price. 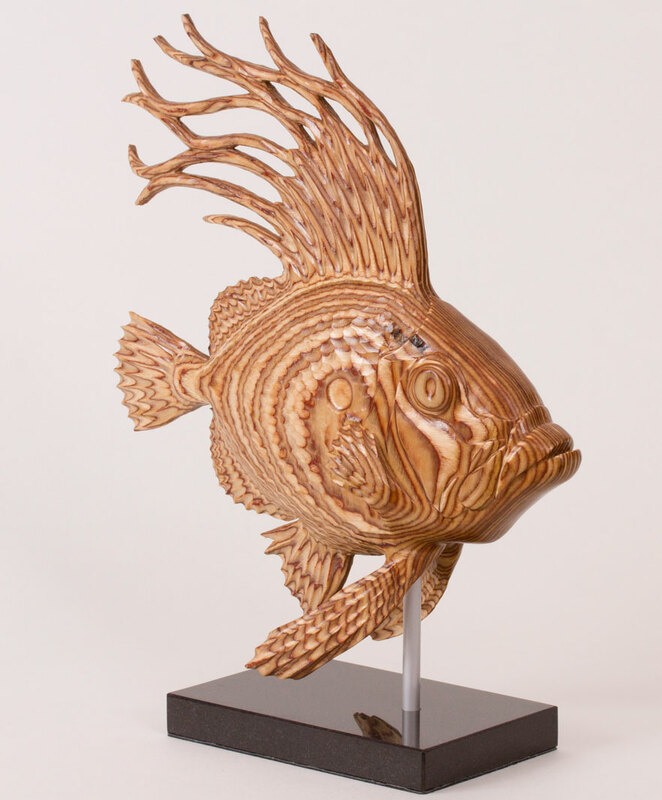 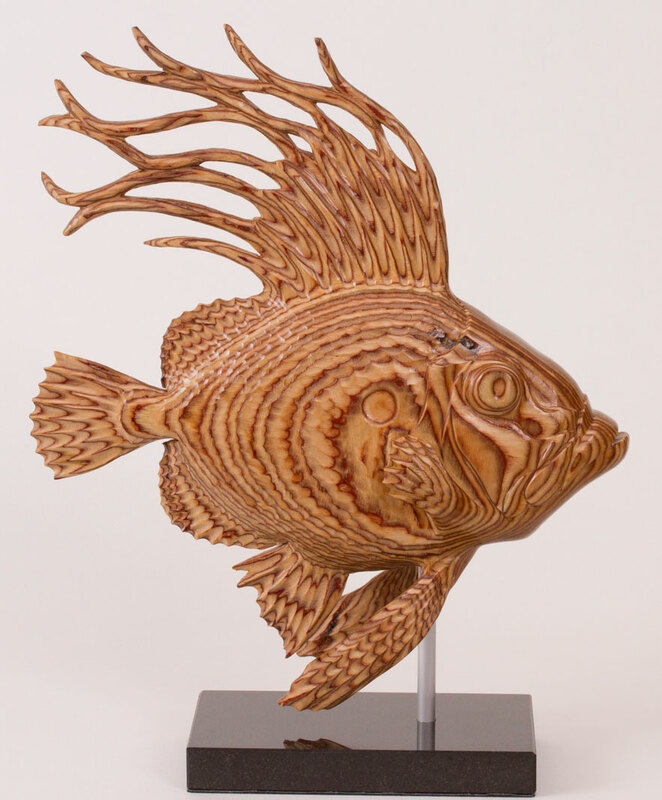 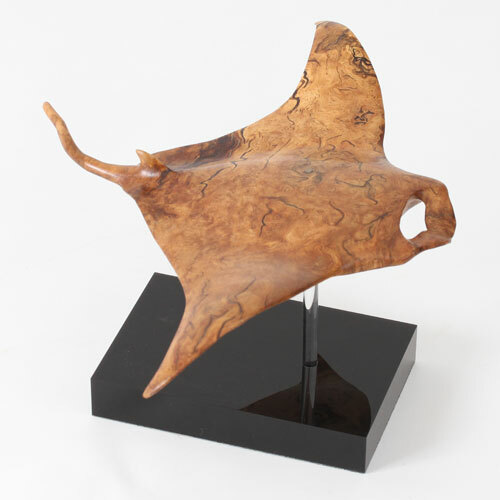 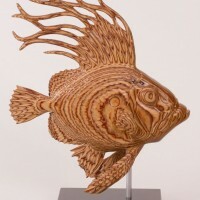 This fish design forms part of Bills growing collection of birch plywood sculptures. 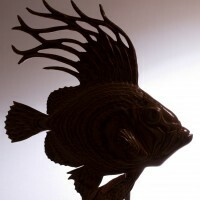 These are hand carved from this contemporary medium and finished with a combination of wax and oil. 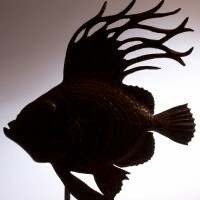 The John Dory is mounted on a granite base. 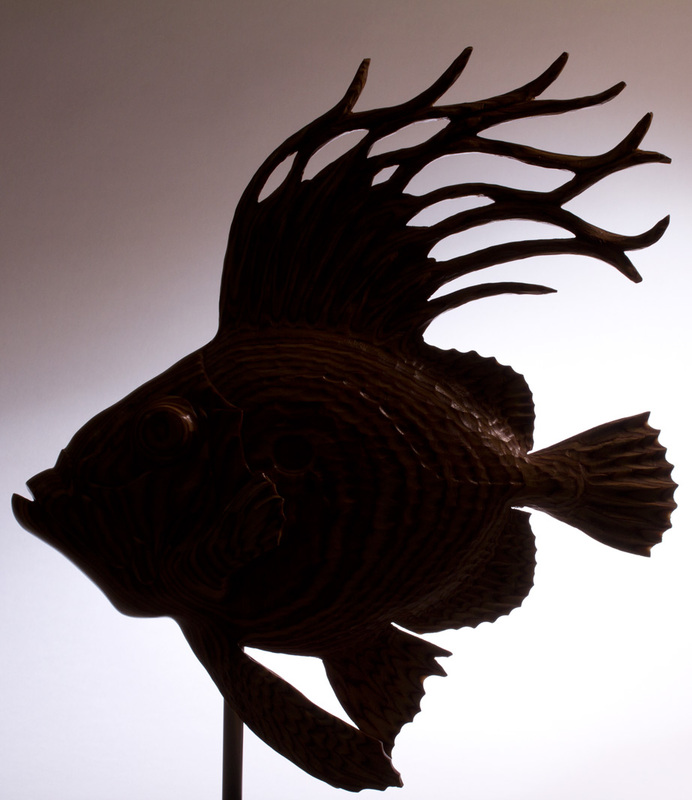 I’ve always been fascinated with the undersea world (I’m a child of the Jacque Cousteau era), and this is apparent in many of my sculptures. 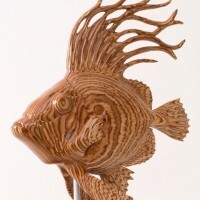 Other examples of this are: Nautilus, Manta ray and Spanish Dancer, to name just a few. 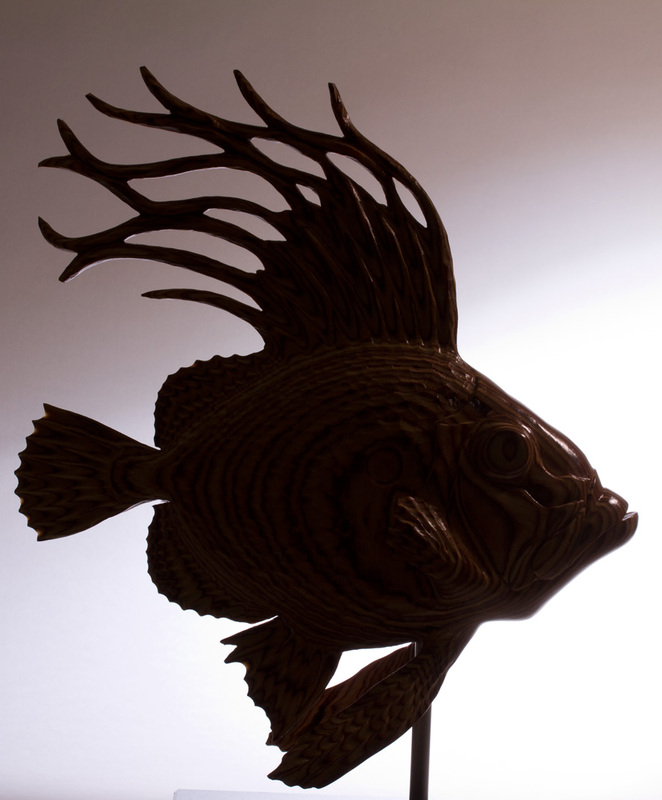 The John Dory is a beautiful fish and is rarely seen at its best when spotted on a fish mongers slab. 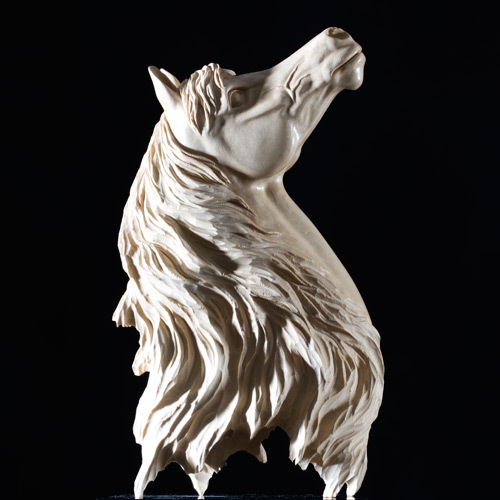 previous post: Preening Falcon, Lime. 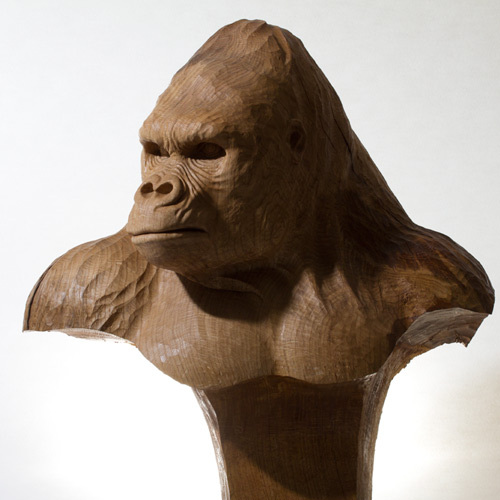 SOLD, but can be commissioned.